Help, I’ve been asked to be a deputy! What next? Michael Kennedy, Director and a member of the Mental Health and Court of Protection Department at Brain Injury Group member law firm, Switalskis, has written this article to explain why someone who has sustained a brain injury may be deprived of their liberty whilst they receive at least some of their care and treatment, in contrast to the great majority of other traumas. The reason that a brain injury can lead to a deprivation of liberty is because an injury to the brain can lead to the development of a mental disorder. If a person is diagnosed as suffering from a mental disorder (or requires assessment to see if they have such a disorder), then that opens up the possibility that they will be detained whilst that assessment and / or treatment is provided. That is because the presence of a mental disorder can lead to the use of powers to detain. Just because a person has a mental disorder does not mean that they require detention whilst they are assessed or treated – but it does mean that becomes a possibility. If the disorder is accompanied by behaviours which do or could put the person’s health or safety at risk, or if others could be put at risk, then that may well lead to detention being considered necessary, even if only in the short-term. The law defines mental disorder in section 1 of the Mental Health Act 1983 (the MHA) as follows: Any disorder or disability of the mind. You can immediately see from this definition that it is very wide. Any disorder or any disability which affects the mind will potentially draw the person in question within the scope of the MHA. The purpose of the MHA is to: cover the reception, care and treatment of mentally disordered persons…and related matters. If the clinical evidence is to the effect that a person has developed a mental disorder as a result of a traumatic brain injury, then the MHA can come into use. It is important to note that such evidence can also be used to bring about use of another piece of legislation to authorise a deprivation of liberty: the Mental Capacity Act 2005 (the MCA) and I will come back to that shortly. Clinicians, such as psychiatrists, rely partly on a guide to mental disorders called The International Classification of Disorders (The ICD 11). This sets out various types of mental disorder and is designed to aid in the clinician reaching a diagnosis. Amongst the various types of mental health conditions, are listed some that can arise from an injury to the brain. One such condition is known as an Organic Personality Disorder. This is a disorder of personality which has been brought about by damage to the brain. It arises when someone’s personality has changed to the one they had prior to the traumatic injury. Their emotions, needs and impulses may all be different to how they were before the trauma. Their ability to think and make decisions may also be significantly impaired. A diagnosis of this condition would be assisted by way of objective evidence, such as neurological examinations and tests. As referred to above, the presence of such a mental disorder only raises the possibility of the use of detention. Detention itself will only be necessary and proportionate if the brain injury has brought about changes to the person’s personality which puts them, or others, at risk. Even after discharge from hospital, the DOLS might be used. That might be because the person still required preparation for a return to the community and so they might need a period of rehabilitation in a Nursing Home specialising in neuro-rehabilitation. As above, it might be the case that the person is considered to be deprived of their liberty and unable to consent to the arrangements – and so the DOLS would be used to ensure that the arrangements are lawful. 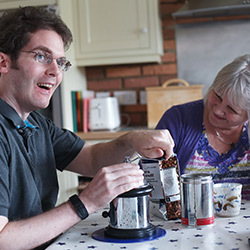 Finally, when it comes to the use of the MCA, a scenario can arise whereby the person is now ready to reside in supported living or in their own home (with staff present 24/7) and, again, they might meet the legal definition for a deprivation of liberty and they might be considered incapable of consenting to the arrangements. If that is the case, the DOLS cannot be used – but other parts of the MCA can. The relevant local authority can make an application to what is known as the Court of Protection and a Judge sitting in that court can authorise the arrangements. Why is the MHA sometimes used and other times the MCA is used? It is quite difficult to answer that question but the gist is that it usually depends on the level of objection. If the person is very much objecting to their admission; treatment for mental disorder and their being detained – then the MHA will be used to authorise the detention, rather than the MCA. Either way, the important thing is that there is a lawful order in place and the person knows where they stand (so far as they are capable of understanding), as does the family – subject to this being explained to them. Can the person detained in this way challenge that detention? Yes, whether the person is detained under the MHA or the MCA, they have a right to make an application to a Tribunal (if it is the MHA) or a Court (the Court of Protection if it is the MCA) and those respective judicial bodies have the power to discharge the order detaining them – so that they would become free to leave. They are entitled to have a specialist lawyer to represent them in such proceedings and they do not have to pay for the services of that lawyer, Legal Aid is available in such cases, regardless of their financial circumstances. The Tribunal panel is made up of professionals, two of whom specialise in the care and treatment of people with mental health problems. The third professional is a Judge who chairs the hearing. Judges in the Court of Protection are increasingly very experienced in the issues which arise when people have suffered a brain injury. Families can be assured, therefore, that any challenges are considered by a Tribunal or a Court which has the appropriate expertise. What if the family of the person with the injury objects to their relative being detained? There are a variety of ways in which family can have a very significant role in these situations. Exactly what powers they have depends on which Act is used and which part of which Act and it is not possible to set out all the variables in this short article. It is of course an extremely distressing experience for anyone to suffer a traumatic brain injury. Family members also have an enormous amount to cope with: from the shock of hearing of the traumatic incident itself, through the emergency treatment phase, to coming to terms with what may be a significant change in the personality of their relative. Finding out that their relative has been detained is yet another new and upsetting thing to come to terms with. As the terminology of the MCA indicates, however, the power to detain does in fact also provide a safeguard for the patient. The same is true of the MHA: there are numerous safeguards in place. The law has developed to try to ensure that if a person with a brain injury needs treatment, including rehabilitation, then that can be imposed on them. Equally, however, the law ensures that the person and their families have rights and that they are supported to exercise these rights should they wish to do so. In addition, detention can lead to benefits to the person when it comes to discharge into the community. Detention under a s.3 treatment order, for example, triggers a right to what is known as aftercare on discharge. Aftercare, essentially, means all those services that the person will need to keep them well in the community and prevent (so far as possible) a readmission to hospital for the treatment of their mental health condition. This may include: specialist accommodation and the provision of care staff. It is unlawful for anyone to be charged for the provision of aftercare – regardless of their financial circumstances. The costs must be borne by the responsible health and local authorities. Brain Injury Group members Switalskis help clients nationwide and have offices in Sheffield, Huddersfield, York and Doncaster. If you would like further advice relating to the Mental Capacity Act, the Mental Health Act or deprivation of liberty, please contact Brain Injury Group. We provide free initial advice on a range of legal welfare matters.